Callous–unemotional traits (CU) are defined by low responsiveness to, and unfeeling disregard for the emotions of others. 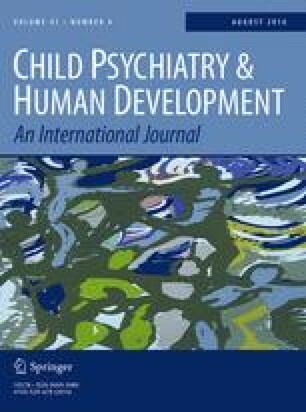 There is controversial evidence, however, that children with high CU traits can demonstrate affective responsiveness under certain conditions, namely those associated with attachment threat. We tested this using ‘fear + amusing’ and ‘attachment rich’ stimuli from the Lion King film. Of N = 76, 4–14 years old children, 56 were clinic-referred children divided into high and low CU traits groups, and 20 children were drawn from the community. Participants watched film sequences of fearful, attachment-related and neutral stimuli and their affective responses and emotion-regulation strategies were coded by independent observers. Children in the high CU traits group were able to disengage from the fear stimuli by showing more ‘happiness’ to a brief slapstick interlude. In the attachment scenario, high CU children expressed similar or trends toward higher emotional responses and emotion regulation strategies, compared to low-CU children and control children. The results support the idea that high CU children may have the potential for emotional responsiveness to complex emotional stimuli in attachment contexts. Implications of these results for the development of interventions are discussed.